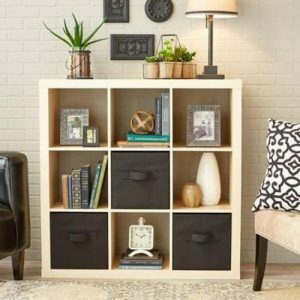 Storage Cubes are some of the trendiest pieces of furniture seen in home décor photos and magazines. They are clean in design, simple and structure and versatile to use. 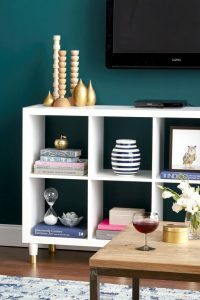 However, figuring out how to decorate these cube organizers so they look more like sophisticated presentations rather than piles of clutter can be a challenge for even the savviest of stylists in interior design. People’s eyes tend to look for contrasts and with the angular nature of the storage cube, spherical and curvy objects will catch someone’s attention. It is one of the reasons why globes tend to appear in many home décor suggestions with this kind of furniture, not to mention scented rattan or twine balls in decorative bowls. Ornamental glass paperweights, snow globes, and even crystal balls can add a personal touch to your home. 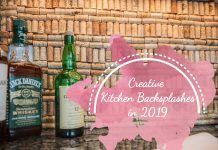 Yet you do not need to be literal with these spheres; curved items like a shapely vase with a flower or a miniature bonsai tree can breathe a bit of life into your home. Fabric bins are not just an inexpensive storage solution, but they also serve as a strong block of color in the overall look of your storage cubes. The most popular look using fabric bins is the checkerboard design, alternating between the bin and open space, but you do not have to stick to that arrangement. 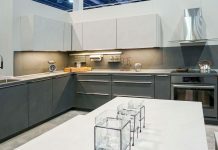 Some cube organizers have options for doors and drawers that can be installed to give your cube organizer more of a clean cabinet look that is popular for offices. Most cube organizers are finished in neutral colors such as white, black and several different shades of brown. From this neutral palette, you can venture into bolder colors that will catch the eye. 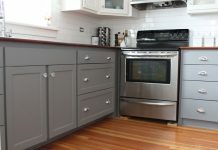 While bins are the more obvious choice to experiment with color (and the advantage is that if you change your mind about a color, you simply replace with a different color bin), the other elements in your space can express different colors. 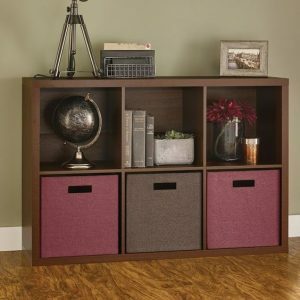 You can theme the colors of your cube storage to a few colors or go for a multi-color extravaganza. 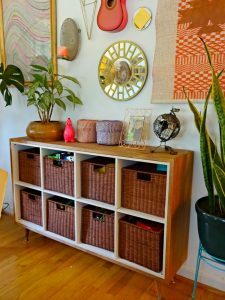 Popular in mostly bathrooms where people like trying to keep their furniture as a neutral as possible, you can try wicker or madras bins as a way to decorate your cube storage. There are several options when looking for the right texture that fits your aesthetic; an office may gravitate towards wire baskets which have the added benefit of being able to see what’s inside without needing to open it. Fill the space of each cube for maximum decorating effect! 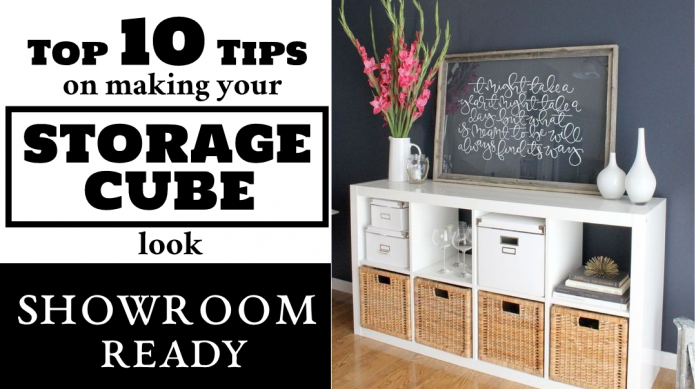 When decorating each space in your cube storage, you generally want to make sure that whatever is in that storage feels like it fits in that space. 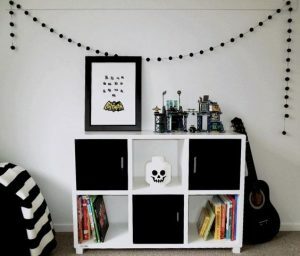 When an item put into a space that is too small, that particular space reads as empty, and it looks even more bare if the other spaces in the cube storage are filled. 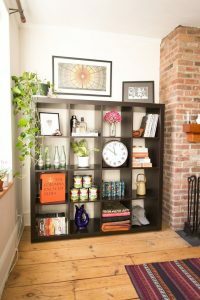 A good rule of thumb is that if an item (or items) are not at least half of the height or width of the cube space, you need to add more things or substitute with another element altogether. If you cannot think of something to put into an area, you can leave it empty. Our eye will not believe something is off too much because the space is “filled” with air. However, it is essential if you do this, you need at least two areas in your cube storage to be empty. One empty space looks like you could not think of what to put there. Two or more empty spaces make it look intentional that you are playing with space. Not all of our favorite items are going to be snow globes and bonsai plants. Some of the most prized items we want to show are photos and picking the right kind of frame enables us to put our two-dimensional inspirations into a physical space. An easy way to keep your décor looking polished is to pick a central theme. If you were to select a subject like “the ocean,” you can put a collection of seashells in one cube, a model ship in another, artwork of an octopus in a frame in yet another, and a statue of Poseidon to finish the collection of a 4-cube unit. 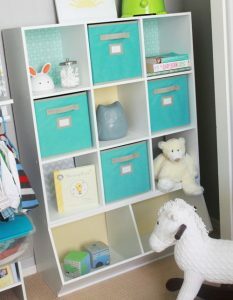 Themes do not have to be complicated; you can put together a selection of blue items in each cube to tie it together. Someone I know, who loved collecting vintage cameras, decorated his cube storage with them along with projector reels and classic Hollywood actor headshots. 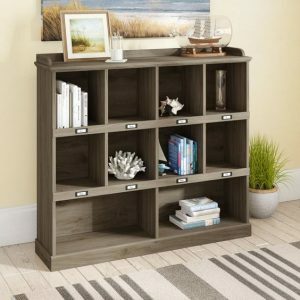 One of the keys to making cube storage units look elegant for home décor is to avoid treating it like a junk drawer where you’re going to put random souvenirs or knick-knacks there just because you own them and they need to go somewhere. It is more pleasing to the eye to see one substantial item in a cube space rather than five items that might go together but don’t have the same feel or effect. If it doesn’t fit in theme, it doesn’t belong in the team! 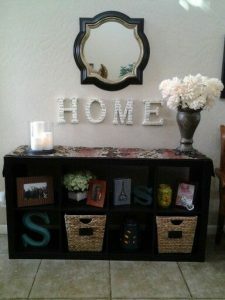 When deciding to make a cube organizer specially decorated to look like it came out of a magazine, it’s vital that you are pleased what’s in these cubes, rather than just putting shapes, colors, and statues together just because they look nice. Decoration is personal, so it’s more meaningful that this theme or collection speaks to your interests and passions. Advertisements can give you ideas, but it is up to you to transform your cube storage from house furniture to home décor. Do you have an excellent demonstration of how a storage cube should look? 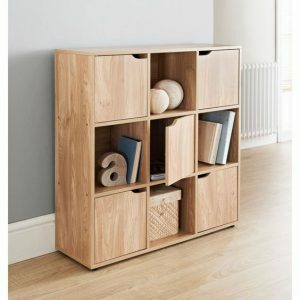 Alternatively, do you have a tip that has been helpful in making that piece of furniture your own? Comment below with your ideas, inspirations, and examples!